Search for Brielle homes for sale and homes in Brielle. Brielle is a small town located on the Manasquan River. Numerous marinas are available on the Manasquan River, as a result, people living in homes and in Brielle have many options for docking their boats. Brielle is also home to the 140 acre, 18 hole Manasquan River Golf Club. In 2010, the homes in Brielle had a population of 4774 people. 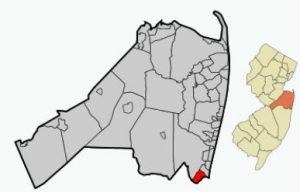 The 201 Census states that there were 1805 households in Brielle. In addition, these households had a median family income of $98,419. You’ll find a wide variety of homes in Brielle. At the lower end of the price scale there are small ranch homes starting at around $400,000. But if you are looking for a waterfront home, be prepared to spend well over $1 million. Additionally, there are lots of homes in between. Furthermore, the Brielle Public Library claims that it was the first library in New Jersey that has offered public access to the Internet. about 550 students enrolled in this school. When students from homes in Brielle enter high school they will attend nearby Manasquan High School. There are also numerous private schools in the area. As an option, when students enter high school they may also apply to one of the five high schools in the Monmouth County Vocational School District. Specialized courses are available in fields such as computer science, and biotechnology. Also courses in the medical and science fields are available, among others. Commuters like Brielle because of the location. The North Jersey Coast Line runs rail service through the town, but the train does not stop in Brielle. Instead, the nearest station is in Manasquan. New Jersey Transit also provides bus service from Brielle to Philadelphia. Call 732-598-7700 today to see some of the homes in Brielle. I used Art and Bunny as my realtors when I bought my new home. They helped me through every part of the purchase and even included a gift of a Home Warranty for one year. Thanks for making the whole process much easier.